Bangkok is one of my favorite cities in the entire world, it’s a place I keep going back to for so many reasons. I love the culture & shopping but one of my favorite things to do there is eat! It’s a foodie’s paradise with delicious food available at every corner, whether it’s a fancy restaurant to a street food stall. Not only is Thai food itself delicious but there’s also very easy access to different Asian cuisines that aren’t easy to get here in Mumbai. I thought I’d do a mini series on some of my favorite little places to eat, starting of course with my favorite place for Ice Cream! 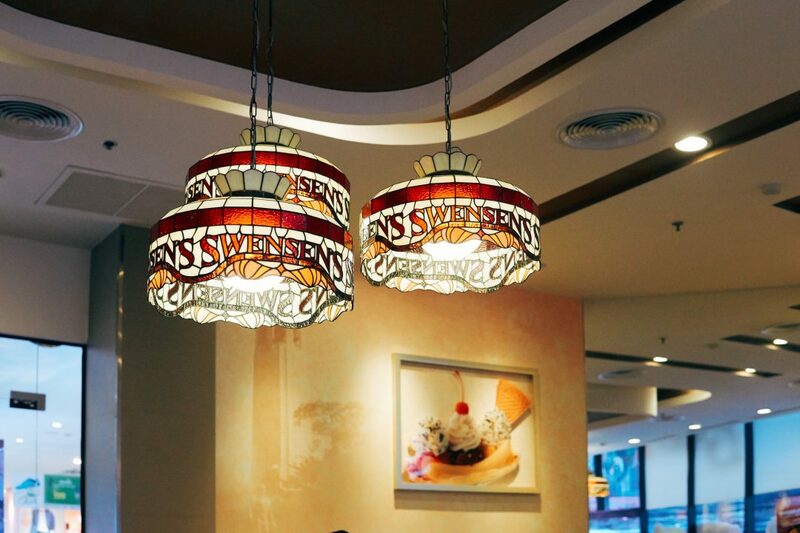 Swensen’s started as an American Ice Cream brand back in the 40s, but in the 21st century it has more locations in Asia than anywhere else. My first time at one of their outlets was the one at Robinsons in Bangkrak (near the river) over eight years ago! I’ve gone back to Bangkok thrice since then & I’ve almost always gone back to the same outlet. The décor of the place is just like any fast food join with lots of hints of Americana, like the branded tiffany lamps hanging from the ceiling. Unlike in India, it is not common to be offered free drinking water at Bangkok restaurants & you usually have to purchase water separately if you want. 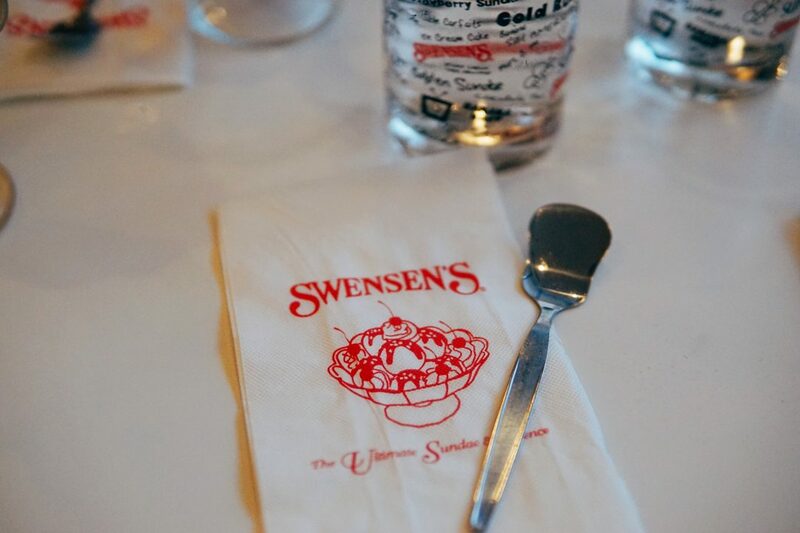 I think Swensen’s is the only place I’ve been to that serves all it’s customers water, which is quite nice. 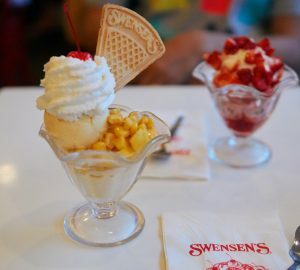 Swensen’s focusses on just ice cream based desserts & there’s no savoury food available (there’s a McDonalds & KFC as well as a food court in the same mall!) 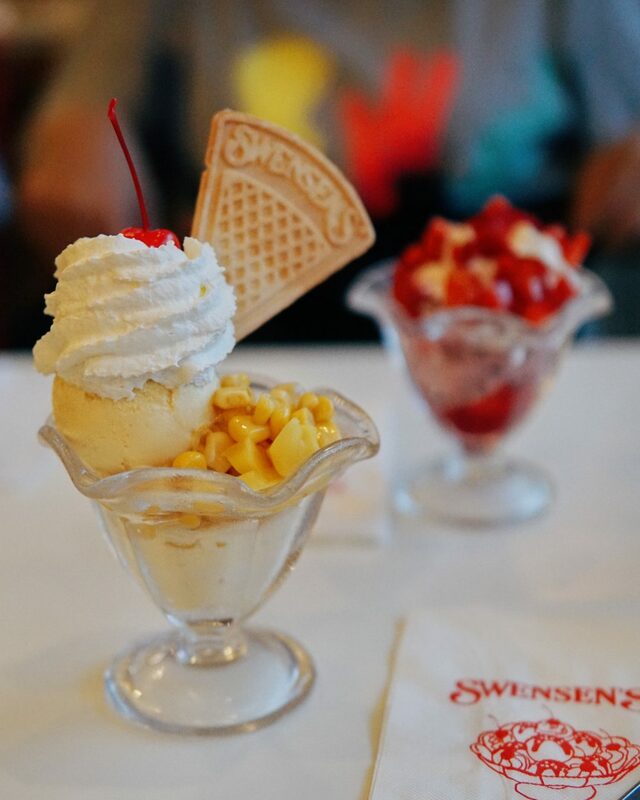 There are tons of different ice cream varieties in many different sizes – they actually have sundaes that are best shared by 4 & even 6 people! 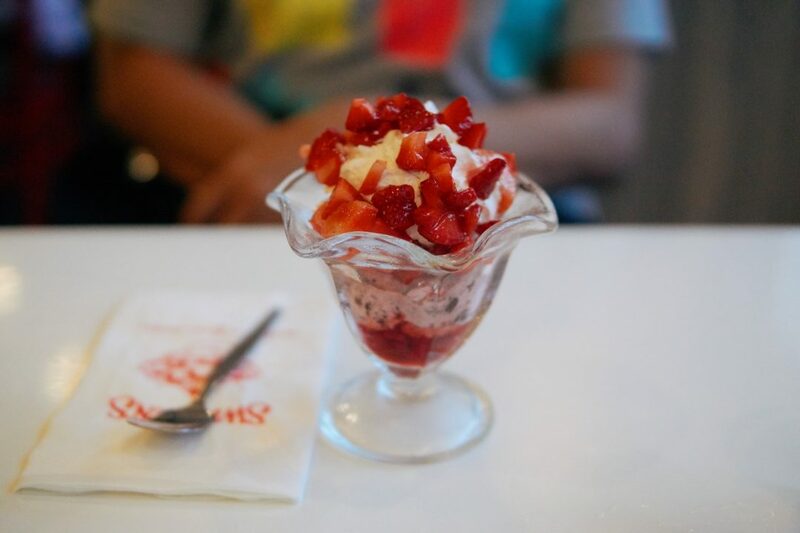 Eating sundaes on a daily basis isn’t the healthiest thing, but this place is definitely great for occasional indulgences. All of the flavours I’ve tried have worked very well (including a ricecream sundae which is ice cream with… rice!) the ingredients are fresh, the service is great & it’s fairly pocket friendly too. 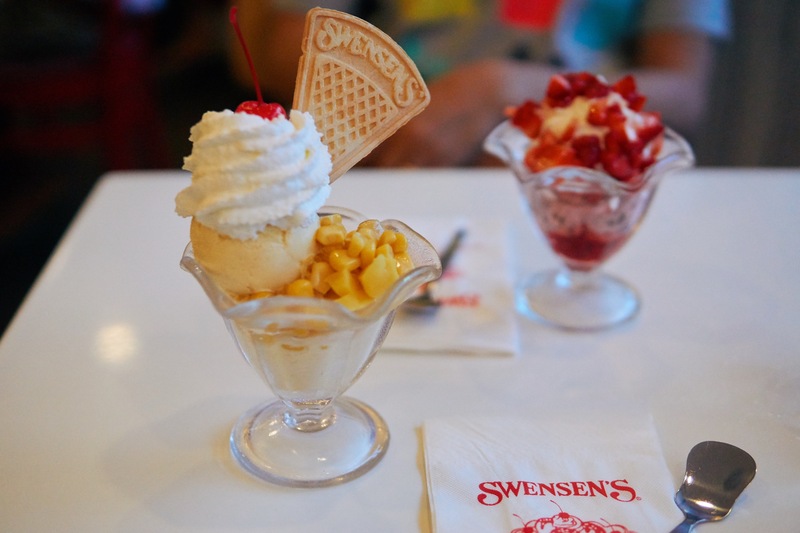 If you’re into Ice Cream this is definitely a place to visit when in Bangkok. I think there must be at least 10 outlets around the city so you can use google maps to find one that’s close to you!